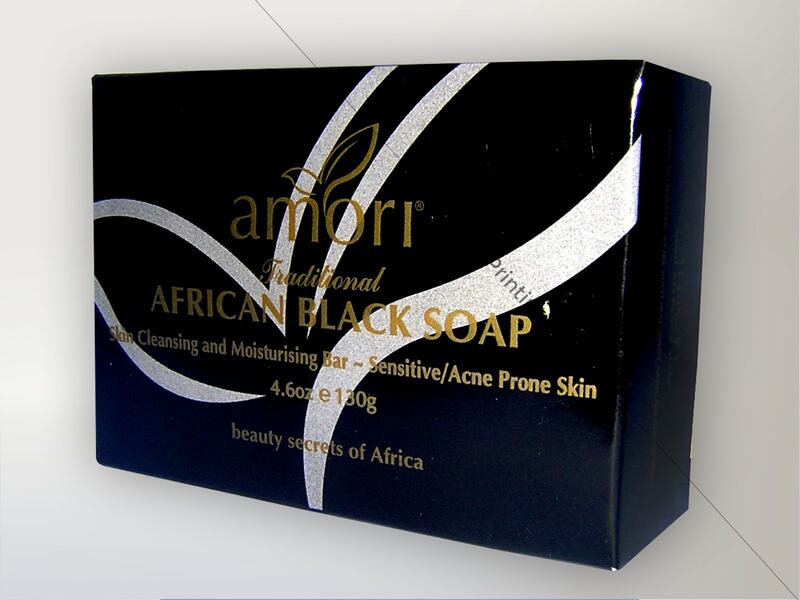 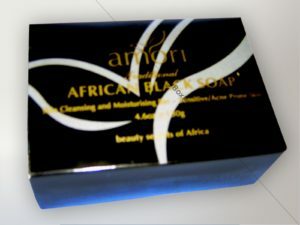 African Black Soap is a gentle, completely natural, curative alternative body cleanser to ordinary soaps. 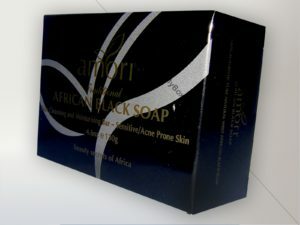 And we had the honor to make packing boxes for the soap. 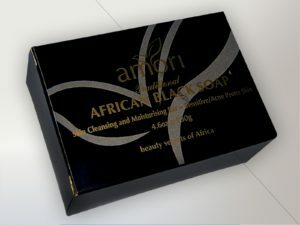 We used 350gsm bleach card with gloss lamination and two colour .